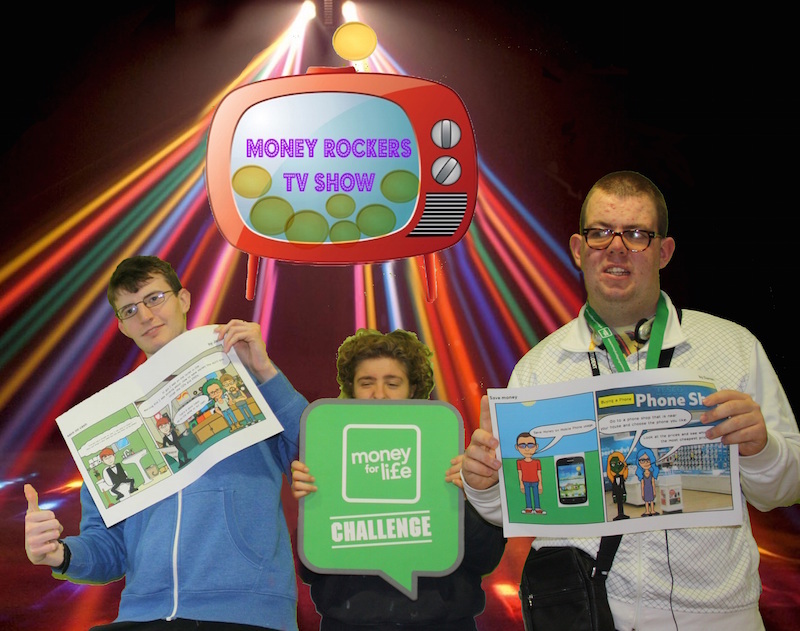 Media students at Hereward College in Tile Hill have successfully qualified for the annual Money for Life Challenge. The Money for Life Challenge is Lloyds Banking Group’s award-winning financial and money management skills programme offering grants to 16 – 24 year olds in educational communities. This support enables them to create innovative projects with the aim to improve the understanding and confidence of money management skills in their local community. The most influential projects are then entered into the National Finals and the winners go on to compete in the UK Grand Final. Hereward’s media students have decided to create their project entry in the form of an online television show, allowing them to not only learn about money management skills but to also give them insight into the process of creating and filming a television show. The £500 grant received from Lloyds Banking Group will fund student t-shirts, television set design, branding and advertising for their project. Creatively named Money Rockers TV, the team have assigned a number of different roles covering; film crew, post-production editing, interviewers and hosts. The whole television show will be filmed and edited by the student team, improving their media skills at every level. Filming for the project has just begun and is due to be completed in time for the March 2015 competition deadline. Be the first to comment on "Students receive grant to improve money management skills"